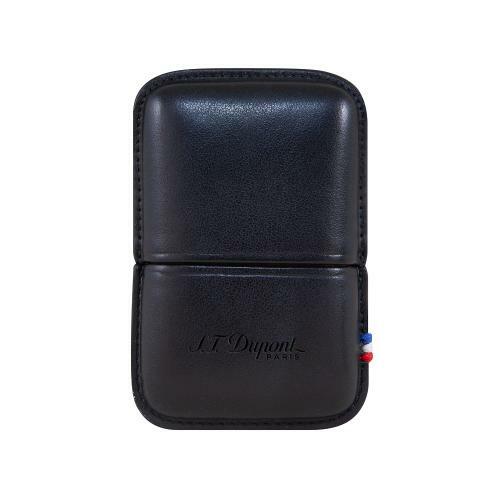 Ligne 2 lighter case made of smooth black cowhide leather. S.T. Dupont embossed and blue white red stitching signature. Can contain a Ligne 2 lighter.